NASA Deputy Administrator Lori Garver and Bigelow Aerospace Founder Robert Bigelow standing next to the Bigelow Expandable Activity Module (BEAM) during a media briefing on Jan 16th, 2013. Photo c/o NASA/Bill Ingalls. On Dec 20th 2012, NASA announced it had awarded Las Vegas-based Bigelow Aerospace a $17.8 million USD contract to build an inflatable module for testing on the International Space Station (ISS). Although NASA has curiously kept the deal low-key over the past several months, Bigelow’s founder has been more open. The Bigelow Expandable Activity Module (BEAM) is being developed by Bigelow Aerospace for use on the ISS from 2015 to 2017. In 2015, BEAM will be delivered to the ISS in an unpressurized SpaceX Dragon spacecraft during the 8th scheduled SpaceX resupply mission (CRS-8). The ISS crew will use the Canadarm2 to attach BEAM to the station’s Tranquility module, after which they’ll activate a pressurization system to expand the structure to its full size using onboard air tanks. Roughly cylindrical in shape, the BEAM module is small at 4 m (13 ft) in length and 3.2 m (10.5 ft.) in diameter. The module’s walls consist of several layers. The outermost layer is made up of sheets of aluminum foil separated from each another by small gaps. This separation serves two purposes; it lets the outer layer act as extremely efficient and lightweight thermal insulation, and also serves as a shield against small micrometeoroids by using the trapped heat to vaporize them. 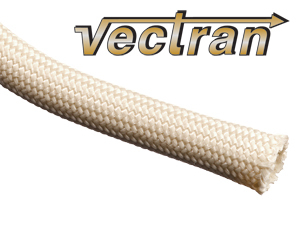 Vectran is used in a wide range of applications in aerospace, high tech research, industrial protection, marine and medicine. Next are several layers of more substantial shielding. These consist of a thin metal sheet positioned over and separated from a thicker sheet. 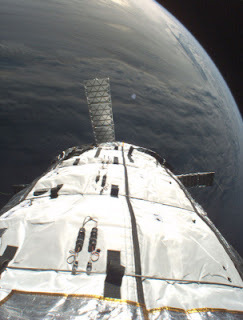 They also provide thermal insulation, but can protect the interior of the BEAM module from larger micrometeoroids. The inner walls are comprised of several sheets of Vectran, a polymer fabric with twice the strength of Kevlar. These layers can protect against both external and internal punctures, being strong enough to survive, for instance, pieces of equipment accidentally hurled against the inner walls. Despite their great strength, the inner walls weigh only about 25 kg per square metre, as compared to about 110 kg per square metre for a similarly-sized ISS module of traditional construction. Bigelow Aerospace’s testing indicates that BEAM will be at least as resistant to both radiation and micrometeoroids as the rest of the ISS. 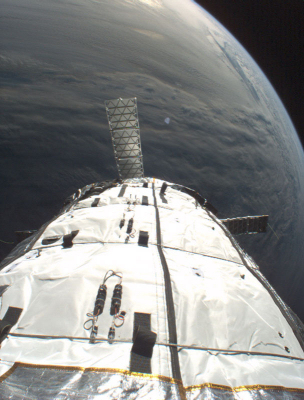 A key advantage of using inflatable fabric modules rather than metal ones for deep-space applications is that high-energy cosmic rays simply pass through without forming secondary x-rays. During its two-year mission, BEAM’s structural integrity, leak rate, radiation levels and temperature will be monitored remotely. How astronauts will use BEAM is still being discussed, but NASA has suggested that the ISS crew would only enter the module several times a year to collect data with the hatch otherwise staying shut. At the mission’s end, BEAM will be detached from the ISS and sent to burn up in Earth’s atmosphere. A cut away view of a TransHab concept. Photo c/o Wikipedia. 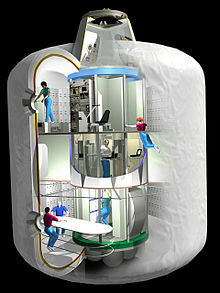 Bigelow’s expandable technology traces its origins back to NASA’s Transit Habitation (TransHab) project of the 1990’s. Born in the ambitious days of the long-dead Space Exploration Initiative (SEI), Transhab was intended to be both an improvement on the existing ISS crew habitation modules as well as a tool for the then-projected expeditions to Mars. One of the anticipated problems on these expeditions would be sending astronauts out with enough supplies and living space to sustain them on a round trip that could take years. TransHab’s soft-walled, inflatable modules were designed to be used as crew accommodation during the flight, and then deployed on the surface of Mars as a base. But by the late 1990’s, in the wake of the political wreckage of the SEI, Transhab came under increasing scrutiny. The end finally came in 2000 when NASA, under fire from the US Congress for the latest round of ISS cost overruns, was forced by law to cancel the innovative project. 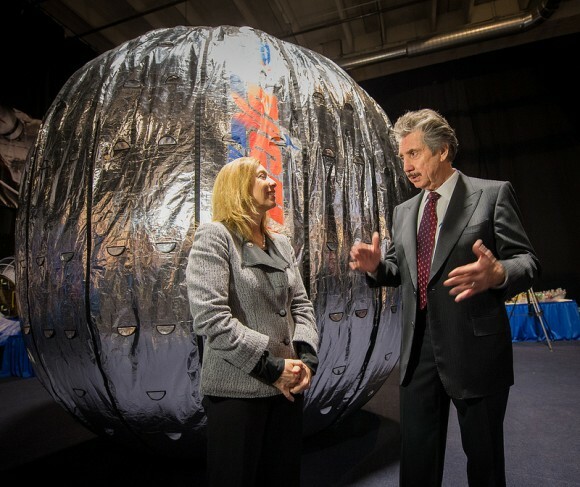 In 2002, Robert Bigelow, having a keen interest in inflatable systems, signed a licencing agreement with NASA to further develop the technology. Under the terms of this agreement, Bigelow was able to bring many members of the original TransHab team over to Las Vegas to begin work at his newly formed firm, Bigelow Aerospace. Bigelow Aerospace’s breakout moment came in 2006 and 2007 with its launch of two small inflatable modules called Genesis One and Two into orbit. These units, launched from Russia on repurposed SS-18 “Dnepr” ICBMs, continue to orbit Earth and have served the company well as both proofs-of-concept and public relations tools. Genesis 1. Photo c/o Wikipedia. A Canadian connection can be found as well; Thin Red Line Aerospace of Chilliwack, BC is a sub-contractor to Bigelow Aerospace. Thin Red Line designed and built the inner layers of Genesis One and Two, drawing on its extensive experience with ultra-strong materials like Kevlar and Vectran. Beyond its collaborations with NASA, Bigelow Aerospace has greater ambitions. The company is currently building two much larger inflatable modules (with 11,600 cubic feet of space apiece) that will combine to form the world’s first private space station, dubbed ‘Alpha’. Station Alpha, with a planned launch in 2016, will be large enough to house a dozen people, twice as many as the ISS. Also, Alpha’s inflatable modules would be spacious enough to allow up to three people to spacewalk simultaneously compared to the ISS’ maximum of two. Contingent on Alpha’s success, Bigelow Aerospace intends to build additional stations to meet demand, and has already begun design work on a massive module with 74,000 cubic feet of space. Robert Bigelow has stated that his ultimate goal is to use his inflatable modules as the core of a Moon spacecraft and base, and later on a Mars spacecraft and base…the original objectives of the NASA Transhab project. Should this be achieved, Transhab will have come full circle. Robert Bigelow’s business plan is to lease space on Alpha to nations seeking to setup low-cost space programs and corporations that wish to conduct zero-gravity research. Space tourist visits are also being considered. At a press conference in January, Robert Bigelow announced prices for travelers to station Alpha: 26.25 million $USD for a 60-day stay, including the trip to orbit in a SpaceX Dragon capsule on a Falcon 9 rocket. Travellers will also have the option of using the currently-in-development Boeing CST-100 capsule for roughly $10 million more. In many ways, the evolution of TransHab technology has also served as the template for the NewSpace industry of today. A game-changing technology initially developed under government auspices, then passed on to the private sector to be refined and monetized, in turn driving new industries forward. Transhab’s journey has been a long and near-fatal one. Though a good idea, its success was anything but assured. Inflatable habitats were a technology preserved and refined by people who foresaw a time when they would be needed. This time is now upon us. In the words of Victor Hugo, ‘No army can withstand the power of an idea whose time has come’. You mention, "A Canadian connection can be found as well; Thin Red Line Aerospace of Chilliwack, BC is a sub-contractor to Bigelow Aerospace." Of historical interest is another Canadian connection, with the Genesis One and Two modules. For those two payloads, Bigelow contracted with the Virginia company SpaceQuest to provide most (maybe all) of the electrical/electronic flight equipment. From what I have heard from those involved, the scope of that work grew to include much of the systems engineering work for Genesis One and Two. Much of that work (perhaps most of it) was carried out by SpaceQuest's short-lived Toronto subsidiary, SpaceQuest Canada. For those of us in the Toronto microsat/world, notable SQC alumni who spent a lot of time over 2-3 years working on this include Doug Sinclair (now owner of his own spacecraft equipment company, Sinclair Interplanetary, here in Toronto), Daniel Faber (now a principal in Deep Space Industries), and Luke Stras (now at Space Flight Lab building nanosats). All of whom came through Dynacon and/or SFL, and the MOST microsat program --- for which SpaceQuest's owners were key mentors, and suppliers of MOST's on-board computer. Thanks for this feedback! Great little supplement. I love hearing this sort of lore. I had mentioned Sinclair Interplanetary in a previous piece, but this is the first i'm hearing of SpaceQuest. 1) it requires the SLS which is very likely going to be canceled in less than 2 years. The reason is that Falcon Heavy will be much cheaper and no doubt in early 2014, we will hear that BFR will be available by 2020 (IOW, BEFORE the SLS first real launch). 2) the last thing I want to be in, is a single unit that has no compartments. It is better to build with multiple BA-330s, OR better yet, with multiple BA-1600s (FH size). With that approach, if a fire develops or meteor strikes, etc. You have another place to go to. Updating the SpaceX launcher roster; SLS will not be the only option for BA-2100 class habitat. In May 2014 SpaceX started tests at NASA Stennis on components of the Raptor methane engine. They've also confirmed it will have more than 1 million lbf of thrust, with recent statements putting it closer to 1.7 million. They'also confirmed it'll be used in a 9 engine launcher with a 10 meter core.